Five months after arriving on Verindon, Sarah’s coronation is rapidly approaching. An unknown enemy seems determined to kill her before she can be crowned. With assassins all around her, Keridan and his squad of agents hide her to keep her safe. But will the danger follow her? 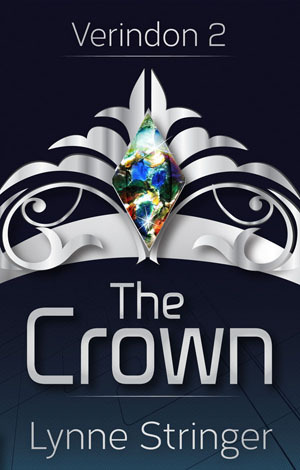 The Crown is the second book in the Verindon Trilogy. The Crown is now available. Click on the buttons below to order! When I was writing The Crown, inevitably, some things had to be left out. As a result, there are a couple of scenes I liked that I had to cut. I have put them below for anyone who wants to read them. Warning – they contain spoilers, so if you haven’t read The Crown yet do NOT click on these links. Before you read listen to This Love by The Veronicas. The song sums up Sarah’s determination to have Keridan as her consort.